You’ve been trying to pack on size for quite a while now, but nothing seems to work. You’ve tried bodybuilding splits, whole-body splits, supersets, drop sets and everything in between. Despite your best efforts, you still can’t put on a lick of muscle. If this sounds like you, then you’re focusing on all the wrong things. In reality, none of the above questions matter that much in the grand scheme of things. So what does actually matter? 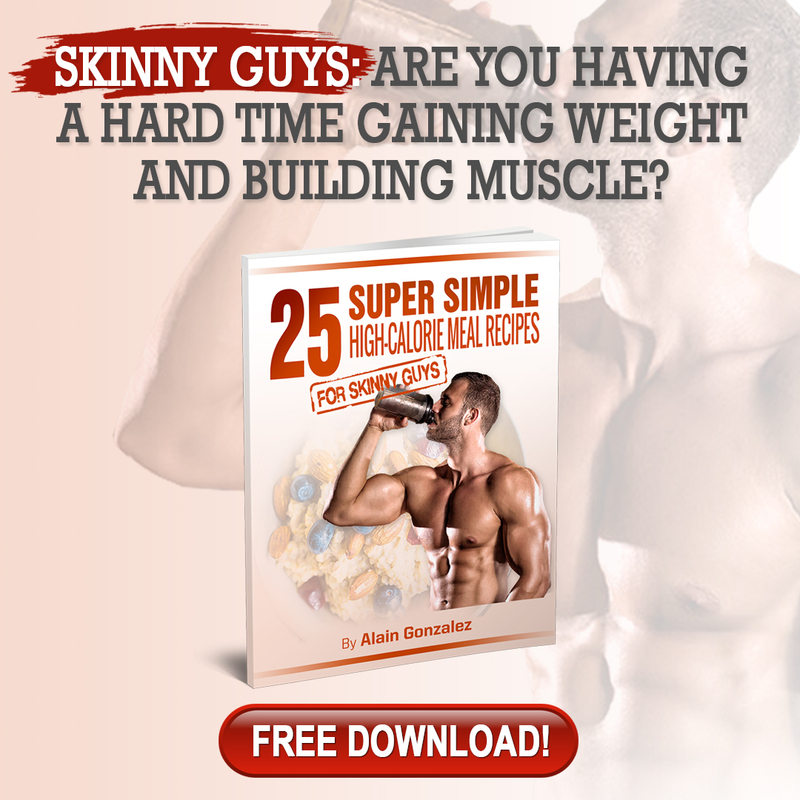 How can you make the process of building muscle and gaining weight simpler? Check out the seven steps you must take right now to start building muscle and gaining weight immediately. The reason you’re not adding mass may come down to the fact you simply don’t have a strong enough reason to change your body. When it comes to weight loss, you hear stories all the time about why people finally decide to do what’s necessary to drop some fat. Their doctor tells them they’re at risk of developing a serious medical condition if they maintain their current weight. They realize they won’t have the stamina to play with their kids if they don’t shed some body fat. Something puts a scare into them, causing them to take action. Think about what you would be able to do if you had more muscle. Would added muscle give you the confidence to puruse your dream career and not continue settling for the status quo? Would being bigger and stronger give you the confidence to ask a girl out on a date? Would being bigger and stronger make you more popular and have a better social life? Whatever it is – you’ve got to have a reason to want to change your body. Otherwise, you might be stuck with the same unfulfilling life you have now. ACTION: Take a piece of paper and write down where you see yourself five or even 10 years from now. Envision what you want to do for money, where you want to live and what you want your family to look like. Are you on track with your goals? If not, you had better start taking action right now. In school, all homework assignments have due dates. Otherwise, teachers know students will never get them done. Why should it be any different when it comes to your muscle-building goals? Don’t just set a general goal to build muscle. Make sure it’s a S.M.A.R.T. goal. It’s specific in the sense you want to weigh 150 pounds, measurable because you can actually physically measure your weight, attainable because 10 pounds in three months is certainly realistic, relevant because you have a strong desire to build muscle and timely because you have a deadline of completing the task in three months. Next, make sure you write this goal down somewhere you’ll see it every day. You can put it on the bathroom mirror, your refrigerator or on top of the dashboard in your car. Have it written down multiple places, but make sure it’s somewhere you look often. You also need to give yourself simple steps to reach your goal. We’ll break that down in the fifth step. ACTION: Grab a sheet of paper and write down your S.M.A.R.T. goal following the principles discussed in this step. Then, leave a note with your goal written down in at least one or two places you’ll see it every single day. Time is a valuable commodity, so you better make good use of it. Worrying about what type of protein powder is best or which exercise will give you shredded abs is a waste of time. If you get rid of everything that’s holding you back from your main goal, you’ll have a much better chance of success. Here are a couple things you need to eliminate right now if you want to start adding muscle mass. To gain weight, you’ve got to be in a positive energy balance. Simply put, you’ve got to take in more energy (via calories) than you expend. Since you struggle to put on size as it is, you have no reason to add in lots of cardio on top of your strength training workouts. Going for hour-long runs and playing marathon sessions of pick-up basketball are going to have a negative impact on your ability to gain weight. You’ve probably heard the saying “You’re the average of the five people you spend the most time with,” right? So if you’re hanging around with people who always bring you down and don’t care about exercise, you’ve got to greatly minimize the amount of time you spend with those people. Find new friends who care about working out and want the same things in life as you. You can meet these people at the gym. You may already know people like this through your social networks. All you need to do is reach out these people and figure out how you can be around them more often. Negative influences aren’t limited to people. They can also include time-suckers like playing video games, spending excessive amounts of time on social media and watching TV. It’s not that you can never do any of these things, but you’ve got to re-prioritize how you’re spending your time. If you spend more time scrolling through Instagram than you do working out, you’re not going to get too far. The concept of “information overload” is plaguing skinny guys all across the globe. There’s so much conflicting information on the internet, it’s hard to know who or what to believe. 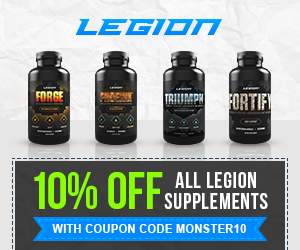 Some people will tell you intermittent fasting is the way to go for lean muscle gains. Others will tell you it’s the devil if you’re trying to put on size. Some bloggers will say you’ve got to train six days per week using body-part splits for the best results, while others will say you shouldn’t train any more than three days per week and use only whole-body exercises. Once you start a program, stop reading fitness websites and muscle magazines. The program you’re on right now will probably work if you actually see it through to the end. ACTION: Grab a sheet of paper and write down the five people you’re around most often, what you do in your free time and what information you consume on a daily basis. Evaluate whether these are people and activities are getting you closer to your goals and which information you want to continue consuming. Limit your cardio to no more than once or twice a week. Any more is unnecessary. 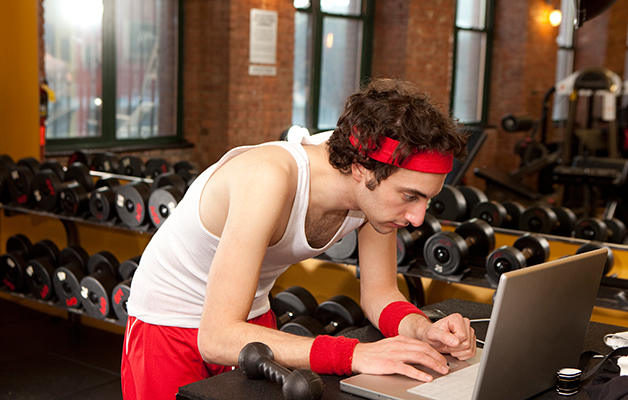 Search “muscle building workout” on Google, and you’ll get 35 million results. So how do you know which program is best? To build muscle, you’ve got to constantly challenge your muscles to grow. Doing three sets of eight reps at 135 pounds on the bench press every workout for six months won’t help you much. A phenomenon known as General Adaptation Syndrome helps explain why you need to constantly challenge your muscles to grow. 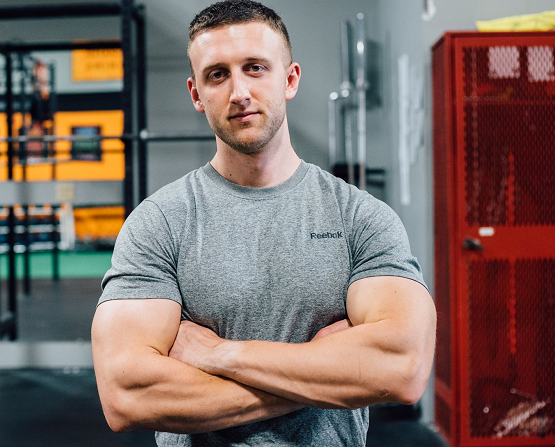 You need to create a great enough stress on your muscles to elicit supercompensation, which causes your muscles to grow bigger and stronger so your body is able to better handle that stressor next time. Getting stronger is important. 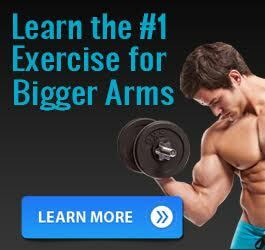 How many 400-pound benchers do you know with small arms? Probably none. Make sure your program focuses on getting stronger and doing a little more work each time. If you did 135 pounds for three sets of eight reps last time, try doing 140 pounds for three sets of eight reps this time. Because you’re lifting five more pounds each set, you’ve lifted 15 more pounds overall. If you keep increasing the weight on each set by five pounds for the next 10 workouts, you’ve lifted 150 more pounds overall. It can add up fast! Isolation exercises have a time and place in a workout program, but they’ll do very little for you if you struggle to put on size. As we discussed in the third step, you’ve got to be in a positive energy balance to gain weight, so it’s a waste of time to spend a good chunk of your workout working your biceps, triceps and calves. Instead, focus on multi-joint exercises like the bench press, deadlift, squat and military press. Compound lifts recruit more muscle mass than isolation exercises, so you’ll get way more bang for your buck. It’s best to use exercises with a barbell because of the ability to handle more weight and load incrementally. For example, lifting 100 pounds for a military press with a barbell is going to be easier than lifting two 50-pound dumbbells over your head because one barbell in two hands is more stable than a dumbbell in each hand. If you’re more stable, you’ll be stronger. Many of the workouts you find will probably tell you to train five or six days per week. Since you struggle to make gains, though, you should treat yourself like a beginner in the lifting world. In the context of this article, you’re considered a beginner if you’ve either just started strength training or have lifted for a long time without seeing any real results. Since you’re going to focus on compound movements every workout, you’ve got to allow for ample recovery between workouts. Making sure you’re taking in enough calories to gain weight is going to be more important than getting in more workouts for muscle gain. ACTION: Pick a program focusing on progressive overload with mainly compound exercises. It should be about three days per week. Most importantly, get a journal to keep track of your workouts. If you don’t know how much weight you lifted last time and the time before that, how are you going to know what to do this time? If your goal is to gain 10 pounds in the next three months, like in the example from the second step, you’ve got to break it down into smaller steps to give yourself the greatest chance of success. Following complex diet programs written by bodybuilders will get you nowhere. You’re going to follow it for a couple of days before it becomes too challenging to handle, and you’re going to give up completely. Instead, it’s better to change one thing at a time. According to former Stanford professor Henry B. Eyring, the best way to help people improve is to make small changes in things we do often. There’s power in steadiness and repetition. Create small wins for yourself every day, and it will add up over the long haul. Find one thing you can change right now that will have the biggest impact on your ability to gain weight. Being in a positive energy balance is the most important factor in weight gain, so you’ve got to be sure you’re getting in enough calories. ACTION: Pick one habit you’re at least 90 percent sure you can complete every day. Follow it for at least two weeks before adding another habit. Make sure it’s conducive to building muscle and gaining weight and it’s easy to complete. If you’re not able to do it every day, you’re not going to have success. If you don’t know if what you’re doing is working, why even bother doing it? You’ve got to test and measure your results to see if the changes you’re making are having an impact on your physique. For this reason, it’s important to be consistent with your plan and change only one variable at a time. If you’re changing your approach every couple of days, you’re not going to know if what you changed affected you positively or negatively. Don’t decide you’re going to do one 20-minute cardio session per week on Monday, and then on Thursday change your mind and add two more cardio sessions that week because your precious abs are disappearing slightly. Following the same example, you would want to add one 20-minute cardio session and keep it going for at least a couple of weeks before you manipulated it. You would use your body weight, measurements and progress photos to determine whether you wanted to change your approach. ACTION: Weigh yourself without clothes each morning upon waking, after you’ve gone to the bathroom and before you eat or drink anything. That way, you’ll ensure you’re measuring your weight under the same conditions each time. Take a photo each week at the same time and day under the same lighting. Try a habit for at least two weeks and measure whether you’re seeing any changes in your weight or photos. One of the biggest mistakes skinny guys make is changing their routines too often. 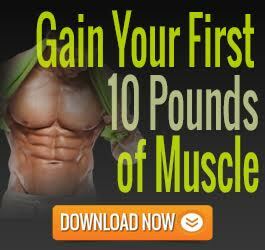 You begin a program you find on your favorite muscle-building website that promises 16 pounds of muscle in 16 weeks. But then, after two weeks, you get bored of your current routine and find a fancy new program from another site. You’ve got be diligent with your approach and carry it out to know if it’s working. You can find a lot of solid programs out there with testimonials from numerous people. They probably all work. The program you’re doing isn’t the most important determinant in whether you gain weight and build muscle – the execution of the program is the key to success. Sometimes, you need to make sacrifices. Eating chicken and rice for the 10th day in a row might not be fun, but it will be worth it when you get the physique you’ve always wanted. Stay consistent and enjoy the process. ACTION: Take action and actually see your program through. You’ll have your bumps and bruises along the way, but you’ll be rewarded with layers of newfound muscle. 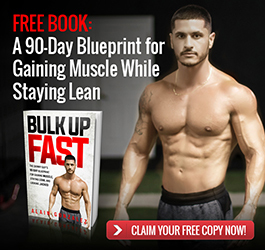 Luke Briggs builds training and nutrition programs for guys who struggle to build muscle so they can be that ripped, muscular dude everyone wants to be.